Welcome to the latest edition of our newsletter. In this week’s mail, we cast our eye over Tiger Woods' extraordinary win at the TOUR Championship, look ahead to potential pairings at the Ryder Cup and we have an exclusive interview with European Captain Thomas Bjorn as our Video of the Week. In this week's video of the week, the aim is to improve your backswing and downswing with a simple drill that has been working so well for my clients this week. If you struggle to turn the body correctly through the golf swing, whether that be poor hip turn, lifting up and down...all of which causes a loss of consistency and power, then I hope this video will help. Click here to watch my video. Remember, if you're still struggling with your game or would like to work on something during the winter months, then please get in touch by either giving us a call on 01227 462865 or by clicking here. Don't forget that on Tuesday 2nd October we will be hosting a Callaway fitting day between 2pm - 6pm. This will be your chance to try and be fitted for their latest range including the Rogue range. If you would like to get yourself fitted, then book your slot by either giving us a call on 01227 462865 or click here. At the start of the year, 14-time Major winner Tiger Woods was ranked 656th in the world, following a fourth back surgery amid fears that he might never be able to compete on a golf course again. Fast-forward nine months and Woods has completed what will go down as one of the finest comeback seasons across sporting history. Now ranked 13th in the world, he topped off a remarkable year with his first victory since 2013 at the TOUR Championship, finishing second in the FedEx Cup and has once again shown that he may be the most talented golfer to ever play the game (we'll save that debate for another time). Particularly striking was the control Woods had over the whole tournament. Leading from start-to-finish, he never once looked as if he was going to lose his composure, sailing serenely through the final round whilst the likes of Justin Rose and Rory McIlroy crumbled under the pressure. The Big Cat is truly back. A gutsy birdie on the 72nd hole saw Justin Rose finish in T-4, which was good enough to see him crowned FedEx Cup champion, the first Englishman to do so, and in the process taking home a tidy sum of $10m (£7.6m). Not too shabby! Whilst another season on the PGA Tour has come to an end, there is still the small matter of the Ryder Cup to be settled. One of the questions which still remains on both sides is the nature of the pairings. Team Europe is made up of five Ryder Cup rookies, meaning that captain Thomas Bjorn will need to make sure he pairs some of them up with more experienced players. The likes of Tyrrell Hatton, who exudes self-confidence, may thrive in the cauldron of the Ryder Cup, but nothing is a certainty in this tournament. For Team USA, the issue of first-timers is less pronounced with only three rookies in the line-up; they include Justin Thomas, who already has a Major to his name, and Bryson DeChambeau, who has been in sparkling form of late. DeChambeau’s physics-orientated approach to the game may come under pressure from the home fans, so may need a veteran such as Phil Mickelson to guide him through his round. The first tee shot will be struck at 7:10am (GMT) this Friday, so make sure you set your alarm nice and early. For the first time ever, the world's top 10 will all be playing in the tournament, so it’s going to be a cracker. You can now grab yourself a bargain in the Pro Shop as we're running a Summer Sale on certain items. Be sure to check out when you're next in. Normally when you watch golf on TV, you see the world’s best showing off their golfer’s tan in their polos. When the Ryder Cup gets underway this week in Paris however, things will be a lot colder, and we’ll see golfers on both teams ditching the short sleeves and going for a golf-specific mid-layer to help them stay warm. One mid-layer that will guarantee you comfort and warmth on the course is Under Armour’s women's Storm Daytona 1/2 zip. Its double-knit insulation panels are extremely soft but also retain a lot of heat, so if you never want to be cold on the course again, this is the mid-layer for you. One mid-layer that will guarantee you comfort and protection on the course is Under Armour’s Storm SF Snap Mock pullover. There’s no danger of getting wet thanks to its Storm technology, which repels water whilst also maintaining a good amount of breathability - two key performance benefits in the winter months. Buying a set of clubs is exciting, but can be a tricky decision - you might love the look of the short irons, but feel a bit daunted by the longer clubs further up the set. 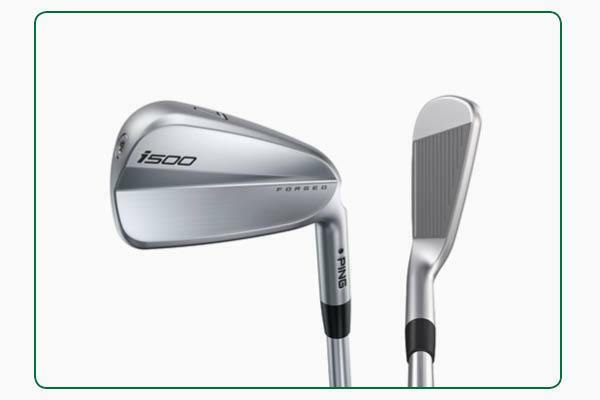 However, you can always mix and match your clubs so that your long irons are more forgiving and your short irons are more workable, allowing you to strike approach shots from any distance with confidence. 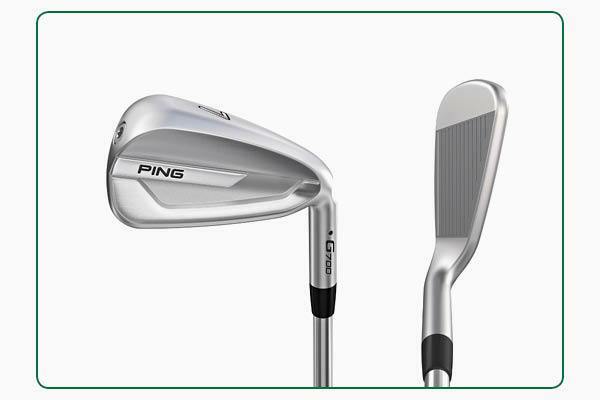 Why not try combining PING’s G700 long irons with the G Le’s short irons? The G700 contains low and deep weighting, which gives you higher launch and more forgiveness - ideal for your long irons. 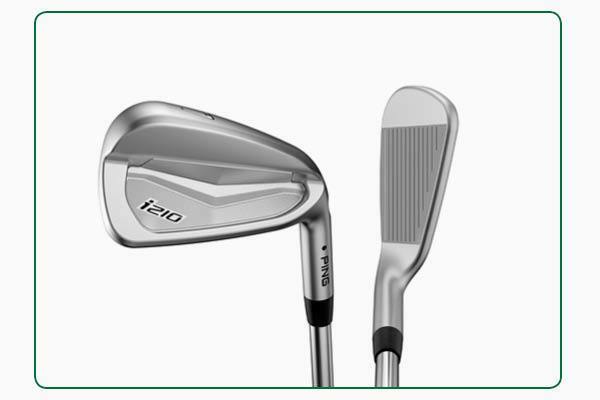 Combine this with the more workable G Le shorter irons and you’ll be feeling confident with every club in your bag. Could mixing sets be the answer you’ve been looking for? 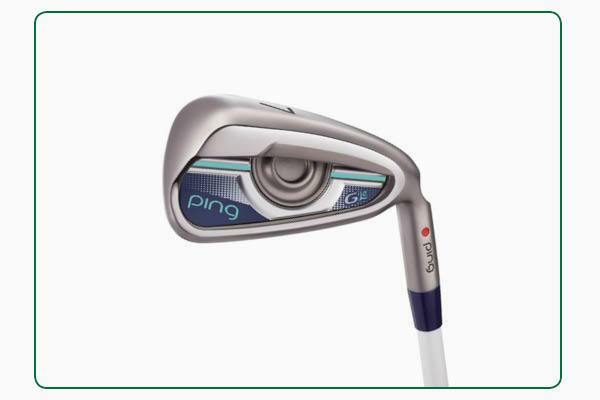 Why not try combining the long irons of PING's i500 with the short irons of the i210? The former offers big distance and a towering trajectory within a sleek topline, which will inspire confidence at the top end of your bag. Combine this with the i210's incredibly soft face that offers remarkable distance precision and workability, and you'll be peppering the pin from your wedges up to your long irons. Could mixing sets be the answer you've been looking for? 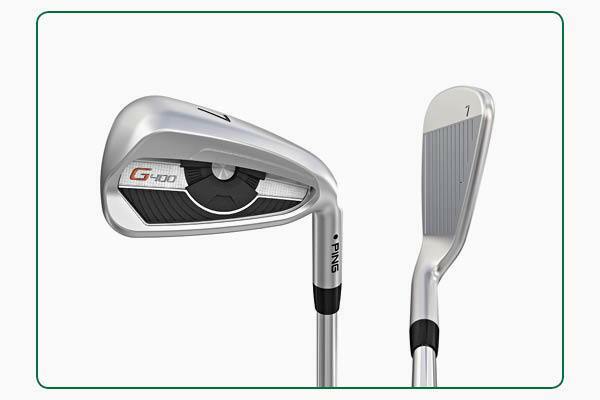 Why not try combining the long irons of PING's G700 series with the short irons of the G400? The G700 contains low and deep weighting, which gives you higher launch and more forgiveness - ideal for your long irons. 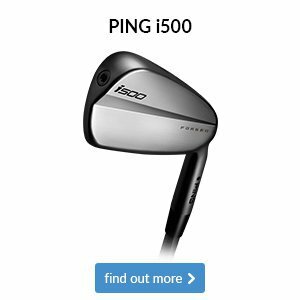 Combine this with the G400, which has a hydropearl chrome finish to help maintain the launch and spin rates of your short irons in all conditions, and you'll be feeling confident through the whole bag. 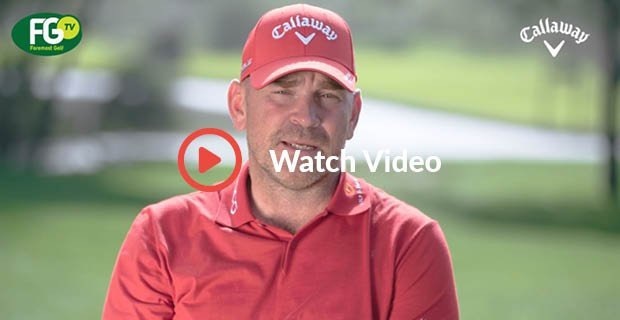 Thomas Bjorn chats to Foremost TV about captaining Team Europe in this week's Ryder Cup and how he's planning on regaining the trophy come Sunday evening.